In this digital age of clean and crisp lines, there’s nothing better than seeing hand-drawn illustrations in the designs of websites and interfaces. Hand drawn doodles and sketches really help inject character and personality into a design, and give a fun and friendly appearance to the overall website. There’s something about the combination of digital design with handcrafted art that never gets old. We’ve seen great website designs featuring doodles, sketches, and illustrations for years but every week there’s fresh new examples that continue this “trend”. Even though we’re in the digital age, abundant with clean, minimalist and crisp designs, sometimes it’s like a breath of fresh air seeing hand-drawn illustrations on websites and prints. Hand-drawn illustrations, doodles, drawings, and sketches will surely make any design stand out. They add a great dose of character and personality to any design and make it fun and friendly. This showcase rounds up 25 inspiring examples of websites featuring super cool hand-drawn illustrations, from quirky hand-drawn typography to cute character doodles. 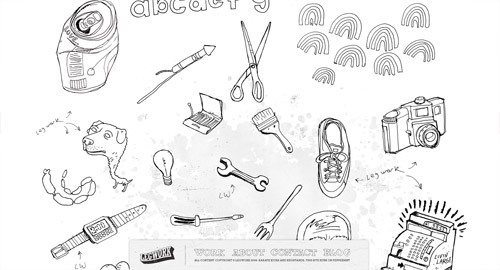 Yoke is yet another good example of a website that uses hand-drawn elements. This one has a smartphone that opens up as a book on the lower half of the website. It uses the flat design trend for its illustrations and has an overall simple and clean design with a hamburger menu on the upper right side of the screen. Legwork Studio has an impressive website that contains a really nice slider with hand-drawn illustrations. This website uses a flat color palette, an interesting choice of fonts and a simple, fullscreen layout. On this slider, you will see various animated hand-drawn illustrations, so check out the live version. This is the Legwork Studio Archive website on which you’ll see some amazing examples of hand-drawn elements which are scattered throughout the background. The whole website design has a handcrafted atmosphere and even the menu font looks like it was handwritten. Joby’s website works as a personal online scrapbook and starts with a large hand-drawn illustration. You can also say ‘Hi” to Joby or have a look at all the projects he’s worked on until today. Dean Oakley is a web designer and developer and this is his personal website on which you can have a look at his latest works. 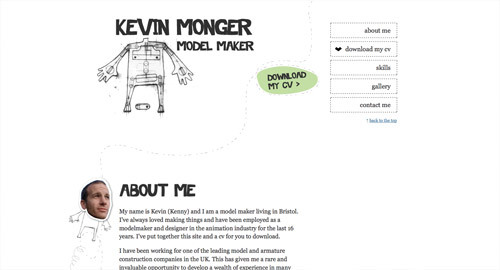 His website uses a hand-drawn illustration as a background which gives his site personality. Pure Dating is yet another cool website that uses hand-drawn illustrations to make the website’s minimalist design even more compelling. Check out this website’s background which is formed out of hand-drawn elements. It’s almost like a hand-drawn pattern! You can also go ahead and click the link to see all the works this artist has done over the years. Nasty Creatures’ website a unique minimalist design that uses a hand-drawn illustration that looks like a creature with horns. Each horn is linked to a different category which presents aspects of this company’s business. 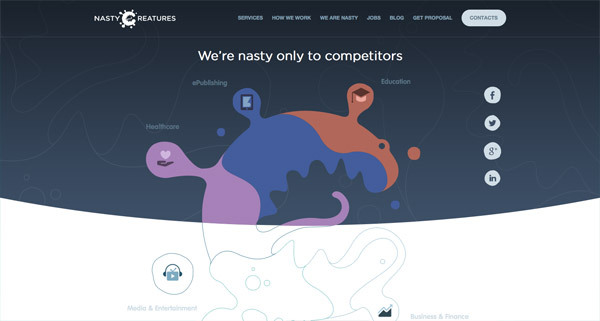 In this way, Nasty Creatures managed to add personality to their website and to present their business in a compelling way. The next example has some amazing hand-drawn elements and illustrations. 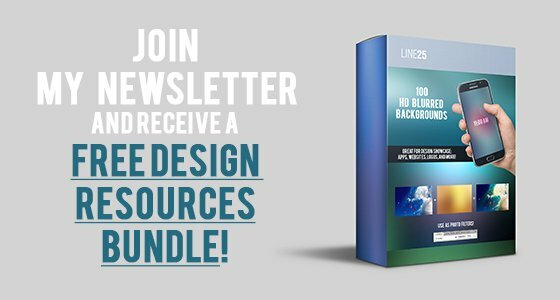 Have a look at the way this website’s web design layout is composed and check out its unique header and menu bar. This website can definitely grab visitors’ attention. Cantilever is yet another cool website that uses hand-drawn illustrations in its web design layout. 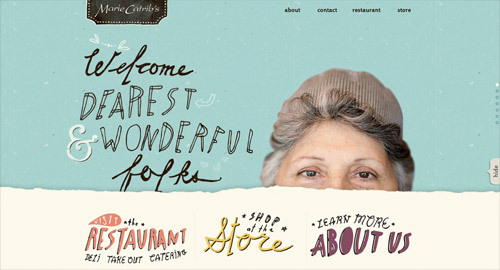 Have a look at this website and check out the way it mixes hand-drawn elements with a light gray palette. Did you know you can use handwritten illustrations in portfolios? This will add a more personal touch to your portfolio. Štěpán Mareš’s website has a dynamic design which definitely fit his passion for comic books. You’ll also notice a really nice hand-drawn illustration which portrays himself working on a new comic. Experiment with hand-drawn doodles in web design! This will support the main content of the site. You can place sketches on the background of the site, like in this example. Find out more about Kevin Monger on his website and check out the way he integrates hand-drawn elements in his website’s design layout. Show your creativity through illustrations in web design! Have a look at this designer’s portfolio website and get inspired by all those amazing illustrations. Let your visitors explore their imagination and challenge their creativity through your design. This example is Red’s business card website that uses a hand-drawn illustration of himself. Even the choice of typography is nice, as it is inspired from hand-drawn elements. With handcrafted websites, you can also emphasize the words that deliver the strongest message with some handwritten fonts, just like in this example. This is yet another cool website which can be a good source of inspiration. It uses a hand-drawn text which presents the Greenaway charity event. Marie Catribs’s website uses some really nice and different hand-drawn typography which makes her website look really friendly. All these different typefaces give a personal touch to this website’s interface design. 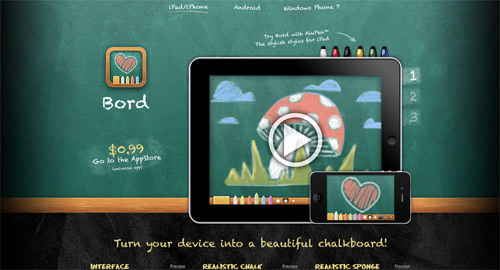 Have a look at Bord, a website which focuses on promoting an which can turn your device’s screen into a blackboard on which you can draw. Fedena is a school management software and this is its website. This website opens door to plenty possibilities and this is exactly what the illustrations suggest. Denise Chandler has a really nice personal website. It starts with an animated illustration next to which you’ll see huge white typography which is also inspired by hand-drawn elements. Scroll down to find more of her doodles! Have a look at POW, a website that also uses hand-drawn elements with a superhero theme. They even use a hand-drawn typography inspired from comics as a logo. Boudin & Beer has used hand-drawn illustrations in both the website’s header and the menu bar’s icons and logo. This is definitely a good example of using illustrations in your design projects. 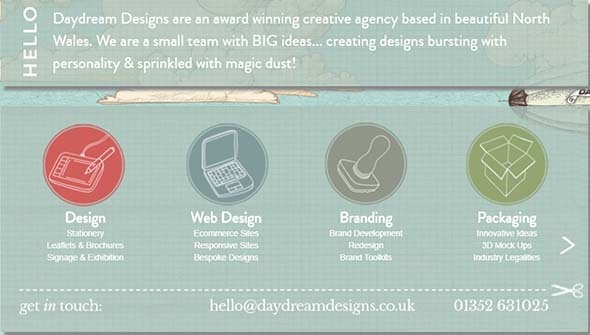 Daydream Designs is a made of a team who is never tired of creating innovative designs. The website has an impressive hand-drawn illustration as its background which is definitely worth checking out and get inspired from. Beavory’s hand-drawn illustrations will definitely brighten your day. Stuff & Nonsense has an amazing large illustration as the first thing the website’s visitors see. It definitely adds personality to the website and can easily grab visitors’ attention. Last but not least, this website uses a couple of really nice hand-drawn illustrations which visitors can discover while scrolling the website. 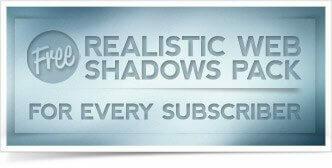 This is a creative way of making content more eye-catching and of keeping the reader interested. Wonderful and wobbly! Awesome collection! Steedicons looks serious eye candy! Wow! Thank you so much for featuring my personal website and my steedicons website. I don&apos;t know how long it&apos;s been since we last spoke, but I hope you are doing well. I miss the early days of Chat Creative, when life seemed to move at a slower pace. Anyways, best of wishes to you, and congrats on keeping this site running. Great selection, will bookmark as I&apos;m sure this will be needed in the future. but when are you posting jquery tutorial……… waiting 4 a long time. Cool! What a collection! Truly its a valuable blog with lots of info. Really an informative blog and provides a lot of information about ow to illustrate and design websites. One of those blogs which are really useful! Good work! Keep it up! Awesome collection! I love the use of hand drawn illustration on websites. It is hard to implement these most of the time, but when they work they look great! Thanks Chris!! I love hand drawn sites but have only seen the Leo one before, total awesomeness! Very cool! The Boudin & Beer website loaded teraslow for me, but all of these had very cool designs. Excellent– you just can&apos;t beat illustration for making an emotional connection. Thanks for sharing Chris!! These hand-drawn illustrations look amazing. WOW, this is such a wonderful designs, i like hand design illustration most! Illustration design IMO beats EVERYTHING. God I love them!!! Love the majority of these websites especially Kyle steed and sketchnotes. Really makes me think I need to up my game quite considerably. Chris, you are soo timely. Just as I&apos;m looking for examples of illustrations in web design… Up you pop in my inbox. Sweet! Some of these are just stunning! You can add this site also.